Thinking and planning: Without thinking and planned communication create mistake and misunderstanding. So the subject matter of the mass communication should be well planned. Understanding: For successful mass communication, the communicator should clear idea about the message and facts which are to be conveyed. Specific objective: Every work of human being should be specific objective oriented. Aimless work or communication cannot bear any fruitful result. Appropriate media or channel: Every communication is made through mediums. But all media are not equally effective. 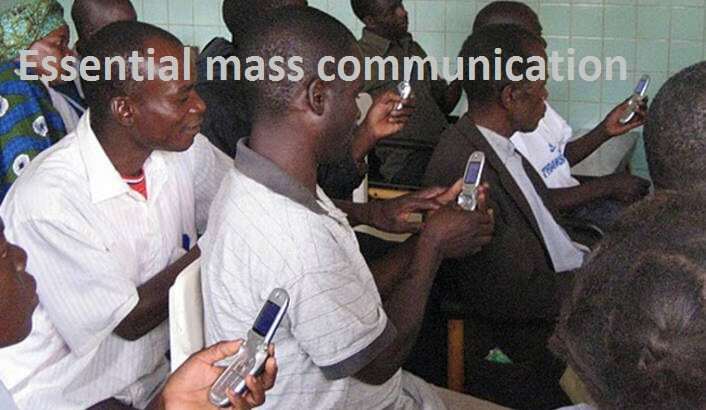 Suitable media should be selected in mass communication for sending message. Concreteness: Concrete means exact, specific, definite or vivid rather than vague or general. For mass communication, use words that form sharp and clear meanings in a reader’s mind. Authentic facts: The facts or message of mass communication must be accurate and authentic. The inaccurate message creates confusion and give the negative impression about the sender or communicator. Correctness: Wrong message creates confusion and many questions in the mind of audiences. For successful mass communication, the subject matter of information should correct and free from error. Consistency: Successful mass communication should be purposeful and related to the particular subject one after another conflicting or unrelated message can affect the communication process. Completeness: The subject matter of the mass communication should be complete. Complete message contains all necessary facts and information that the readers or receivers need to understand. The receiver should get a clear idea about the subject matter. In complete message create confusion or misinterpret or irritate the readers or receivers. Selection of time: Proper time must be determined while communicating anything. If mass communication is not done in time, it will not be effective. That’s why time of mass communication should be considered. Courtesy: Courtesy means polite behavior or good manner. It involves being aware of the perspective of others and their feelings. Writing or speaking in a conversational tone, emphasizes on reader’s viewpoint and carefully selecting positive words which will generate courtesy. Feedback: Another principle of mass communication is the feedback. It is the reaction or response of the receiver to the sender. Feedback is essential if any feedback is needed in mass communication. Follow up on message: The feedback of mass communication is limited and delayed. So, analysis and evaluate the effectiveness of mass communication the communicator is to follow-up the messages.